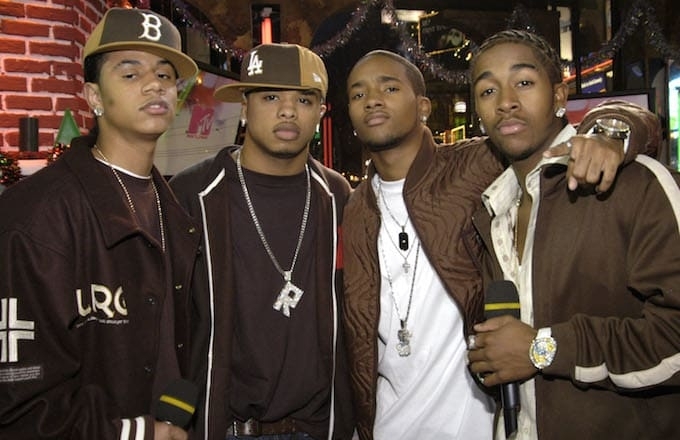 B2K will announce the dates of their highly anticipated reunion concert in less than a week. Formally known as the Millennial Tour, fans have been salivating at the idea of one of the most anticipated tours of 2019. Throwback TRL and 106 & Park fans have grown a bit since B2K was last popping, but the childish enthusiasm for the group remains. Some fans are grandmothers now. B2K is going the extra mile to recapture their early days. Omarion, the lead singer of the iconic R&B group, dropped specific rules for ticket buyers to follow in a statement. “FOR STARTERS, IF YOU WERE BORN AFTER THE YEAR 2000, THIS AIN'T FOR YOU"
Secondly, leave your Fashion Nova and its subsidiaries alone. The only 'fits allowed inside venues are oversized, and anything that falls in line with Throwback Thursday or Flashback Friday. "Air Force Ones, Apple Bottom jeans and velour sweatsuits" are highly encouraged. B2K isn’t playing. They want this reunion tour to be as authentic, festive and memorable as possible. If you’re not a huge, diehard B2K fan then this tour definitely is NOT for you.